(AFP) – The United States appears resigned to the likelihood of a final military victory by Syrian government forces, even as it warns Bashar al-Assad and Moscow against launching a major offensive in the rebel-held northwest, analysts say. US Secretary of State Mike Pompeo on Friday accused his Russian counterpart Sergey Lavrov of “defending” the expected assault by Russian-backed Syrian forces on Idlib province, scene of the last rebel stronghold and home to nearly three million people. “The US sees this as an escalation of an already dangerous conflict,” Pompeo said on Twitter. The American warning follows 10 days of toughly worded exchanges between Western powers on the one side, and Syria and its Russian ally on the other, just as Assad — bolstered by crucial Russian air support since 2015 — sets his sites on Idlib. Assad’s forces suffered serious setbacks early in the war, but Russian backing has helped them retake control of 60 percent of Syria. The US, France and Britain, which together launched limited attacks on Syrian installations in mid-April in retaliation for an alleged Syrian chemical attack, say their red line against illegal weapon use remains in force. “As we have demonstrated, we will respond appropriately to any further use of chemical weapons by the Syrian regime,” they said in a joint Aug. 21 communique. John Bolton, national security advisor to US President Donald Trump, similarly vowed that the US would respond “very strongly” to any chemical attack. 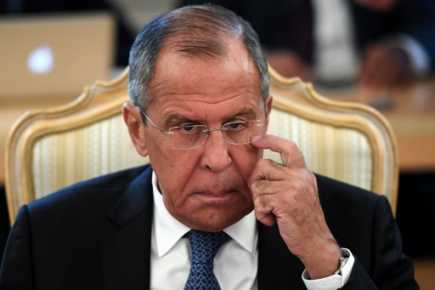 But Lavrov on Wednesday called on the West not to stand in the way of what he described as an “anti-terror operation” in Idlib, which borders Turkey. In language that seemed to confirm the imminence of an assault, he called Idlib an “abscess (that) needs to be liquidated,” while adding that it was necessary to minimize risks to civilians. But these “verbal warning shots” have little to do with today’s reality in Syria, said Jonas Parello-Plesner, a researcher with the Hudson Institute think tank in Washington who recently published a study on the US approach to the region. Trump said in April that “it’s time” to bring American troops home from Syria — once the jihadists of the Islamic State group had been definitively defeated. “There’s no reason they should object to this in Idlib after accepting this in the south, Damascus, Aleppo, etc.,” he said, “and the regime and Russia understand this. Once matters are finally resolved on the ground, Itani said, the focus will return to diplomacy and efforts to hammer out a political solution, as Washington wants.